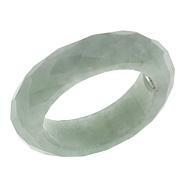 Enjoy the rich, traditional green color of this jade ring in a contemporary setting. Slip it on and know that it's a unique piece that you'll love to show off to friends and family. What a beautiful ring. I wear it every day. 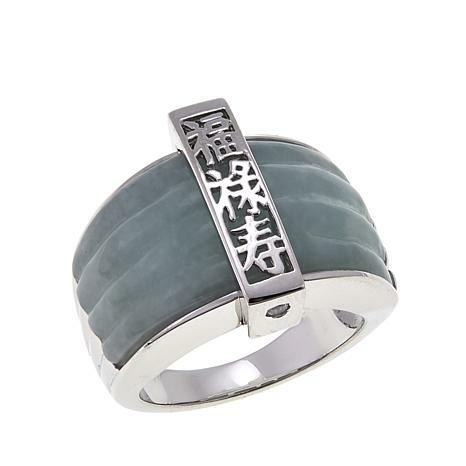 Jade color is gorgeous. 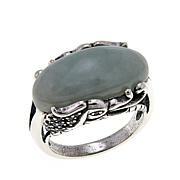 I love the style.Great price for the amount of Jade & sterling silver.Thanks HSNTHIS ONE IS A WINNER !!!!!!! 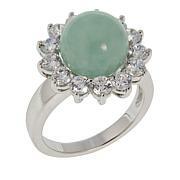 Gorgeous ring. 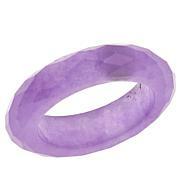 Comfortable to wear, smooth on finger. Jase color perfect. So very pleased with comfort, amount of silver & style. Many compliments my first day of wearing it. Price exceptional too. Great looking ring but I just don't have the long fingers to carry it off. My hands are small and this is a substantial piece of jewelry. The ring is a 12 due to arthritis swelling and it fits so I can still be cute. Thanks for the large size. I love it.